Genie and Paul is an utterly original love story: the story of a sister’s love for a lost brother, and the story of his love for an island that has never really existed. One morning in May 2003, on the cyclone-ravaged island of Rodrigues in the Indian Ocean, the body of a man washes up on the beach. Six weeks previously, the night Tropical Cyclone Kalunde first gathered force, destruction of another kind hit twenty-six-year-old Genie Lallan and her life in London: after a night out with her brother she wakes up in hospital to discover that he’s disappeared. Where has Paul gone and why did he abandon her at the club where she collapsed? 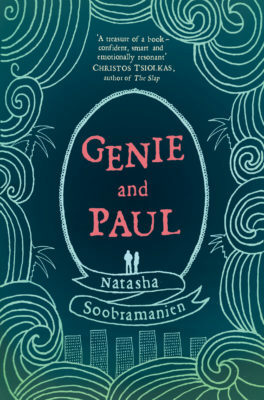 Genie’s search for him leads her to Rodrigues, sister island to Mauritius – their island of origin, and for Paul, the only place he has ever felt at home. Will Genie track Paul down? And what will she find if she does? The debut novel of Natasha-Soobramanien. A vibrant postcolonial response to Paul et Virginie... The myriad tales layer over the source material of Paul et Virginie to create a rich fictional tapestry. Superb... Each protagonist’s story is told in turn, and their voices deftly differentiated. Polyphonic and intricately patterned... a subtle meditation on the compulsion to keep looking, even when we know that what we are looking for no longer exists, and perhaps never existed at all. Bittersweet, rivetingly drawn, mysteriously languid: a feast for the senses. Set in present-day London, Genie and Paul, a superb first novel... contemporises with brilliant effect the 18th-century French classic Paul et Virginie. 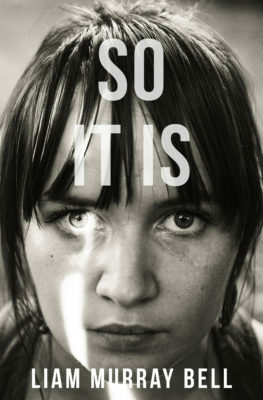 Soobramanien's poised, resonant tale of innocence and experience is strikingly original... [she] subtly explores ideas of home in a way that marks her out as a rare talent. This beguiling first novel is a rich, warm, modern reworking of Paul et Virginie... beautifully captures the fairytale atmosphere of the original. An exceptional debut novel. Soobramanien proves her emotional intelligence in her real understanding of what it means to grow up in a country not one’s own. A vivid account of exile and expatriation... when it comes to mood and melancholy, Soobramanien's grasp is unerring. Genie and Paul is nothing short of remarkable. 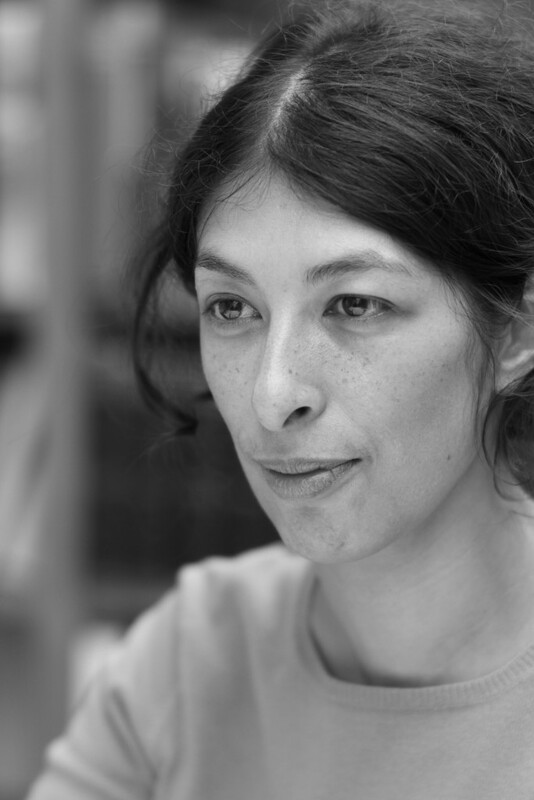 A vibrant postcolonial response to Paul et Virginie... Soobramanien takes up Saint-Pierre's themes of wildness and loss of Edenic innocence in her contemporary story... The novel is Genie's odyssey to recover her brother. She reconstructs the family's London life and Paul's return to Mauritius through stories elicited from all his acquaintances. The book is built through these compounded sections of storytelling, introducing a compelling variety of voices... The myriad tales layer over the source material of Paul et Virginie to create a rich fictional tapestry. Waking up in hospital after a night out, Genie Lallan discovers her half-brother Paul has disappeared. 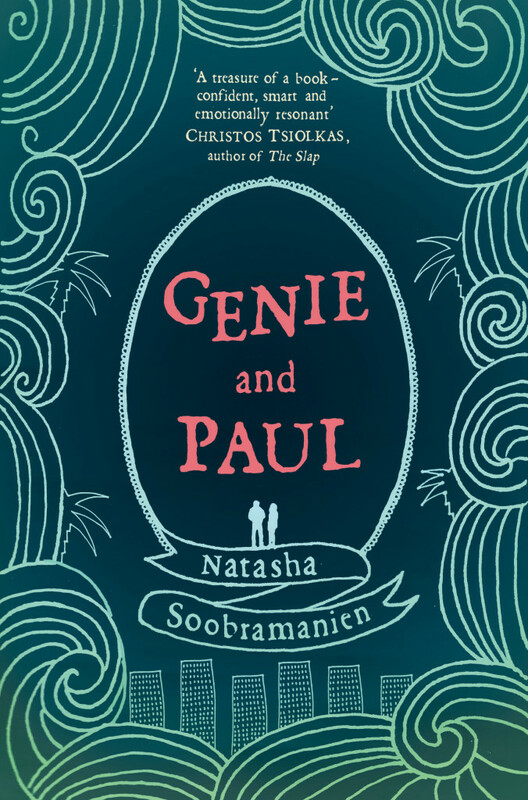 Genie and Paul is the gripping story of her search for him, layered with richly described memories of the island of their birth, Mauritius, and London, their new home. Superb... Each protagonist’s story is told in turn, and their voices deftly differentiated: Genie imagines London’s skyscrapers as 'crystalline stalagmites in Superman’s secret cave', whereas Paul sees only the city’s 'dull glint, like the sheen on old meat'. When brother and sister are brought together again at the book’s climax, we come to realise that their perspectives are tragically irreconcilable. Polyphonic and intricately patterned, Genie and Paul ranges over thirty years and brings together the stories of the Mauritians who stayed on the island and the stories of those who left it behind. Soobramanien observes Mauritius and London with equal attention, and her descriptions of the latter as it appears to those encountering it for the first time are funny and sharp... Holding in tension Mauritius and London, a search for a person and a search for a place, Natasha Soobramanien's debut is both a bold interpretation of a French classic and a subtle meditation on the compulsion to keep looking, even when we know that what we are looking for no longer exists, and perhaps never existed at all. Soobramanien's poised, resonant tale of innocence and experience is strikingly original. A gifted painter of place and mood, she is as good on East End council flats (‘reeking of Glade and psychosis’) as the stray dogs and fruit-laden trees of Mauritius. Soobramanien subtly explores ideas of home in a way that marks her out as a rare talent. 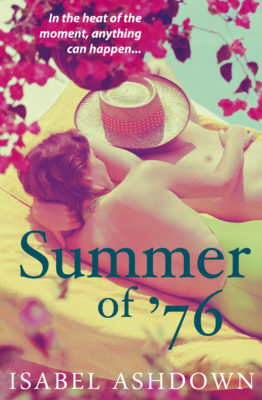 This beguiling first novel is a rich, warm, modern reworking of Paul et Virginie... The author beautifully captures the fairytale atmosphere of the original. An exceptional debut novel. Soobramanien proves her emotional intelligence in her real understanding of what it means to grow up in a country not one’s own. 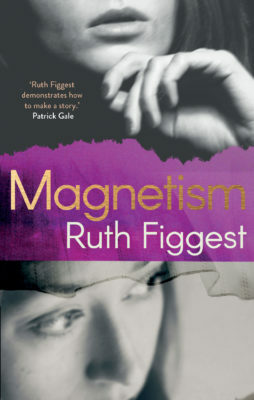 Her prose is vivid, clever and effective. She draws on ancient myths and legends and brings them onto a contemporary stage with quick freshness and originality. [Her] writing skills are startling and indisputable. A vivid account of exile and expatriation... when it comes to mood and melancholy, Soobramanien's grasp is unerring. Skipping lightly from present to past, through intensely felt childhood fears and family histories, the book builds a rich, redolent landscape of dream and memory through which these isolated figures drift, seeking something that probably never existed to begin with: an island, a brother, a sense of belonging. For a debut novel, Genie and Paul is nothing short of remarkable.